The U.S. Department of Agriculture painted a clearer picture of soybean and corn production prospects for this year’s harvest on Friday. 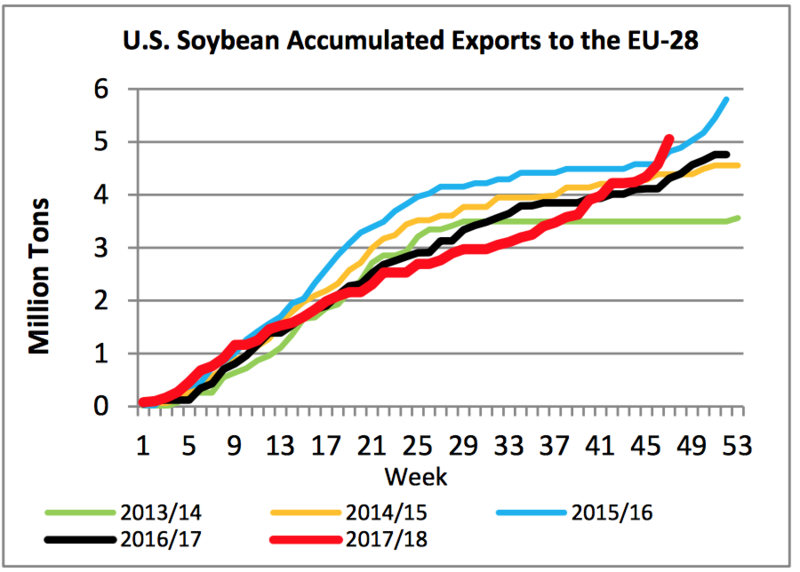 In addition, recent USDA trade data, along with business news articles, have provided further perspective on U.S. soybean exports, particularly as it relates to China. Today’s update explores a few of these issues in more detail. 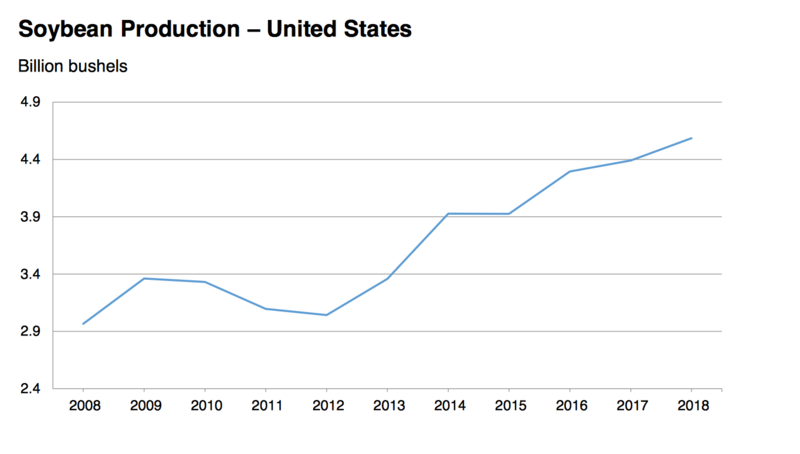 Crop Production. USDA-NASS (August 10, 2018). Ending stocks for soybean are going to be absolutely **sky-high**. “Analysts pointed to a difficult path ahead for soybean prices after Friday’s report,” the Journal article said. For the first nine months of this fiscal year (October – June, before Chinese tariffs went on), U.S. soybean exports to China were down 21 percent from last year, while exports to the European Union were up seven percent. U.S. 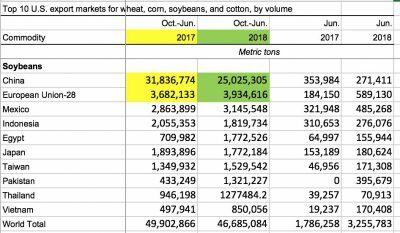 Agricultural Trade Data Update. USDA- Economic Research Service (August 6, 2018) https://goo.gl/nXyXYF. More specifically, in its Oilseeds: World Markets and Trade update Friday, USDA’s Foreign Agricultural Service (FAS) stated that, “Lower U.S. soybean prices vis-à-vis Brazil, a result of China’s duties imposed on U.S.-origin soybeans, have contributed to a surge in EU imports from the United States. Oilseeds: World Markets and Trade. 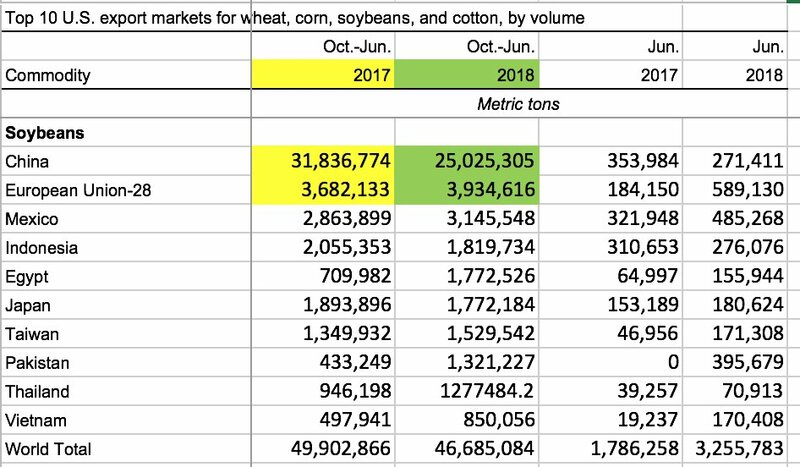 USDA- Foreign Agricultural Service (August 10, 2018). 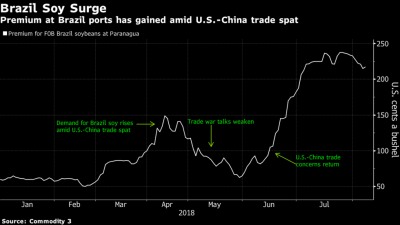 “While China substitutes U.S. soybeans by maximizing purchases from Brazil, the rest of the world is taking advantage of competitively priced U.S. supplies and the improved crush margins that have resulted. 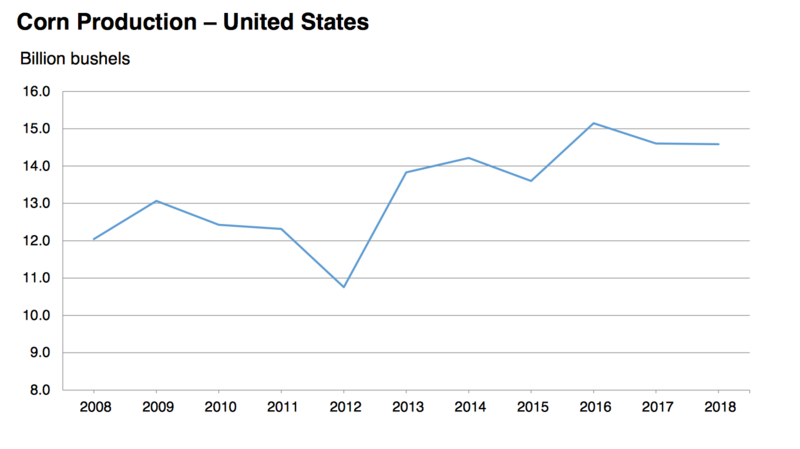 The recent shift to U.S. origin is likely to continue as long as crush margins remain attractive. However, it is important to note that the European Union is a mature market with limited capacity to expand. According to industry contacts, oilseeds processors are crushing at or near capacity which limits soybean import growth. Early last week, Bloomberg writers Shruti Singh and Kevin Varley reported that, “A ship with U.S. soybeans set sail for China last week, according to data released Monday, showing that the Asian nation is still importing some quantities of the commodity grown in America despite tariffs imposed by the government in July. 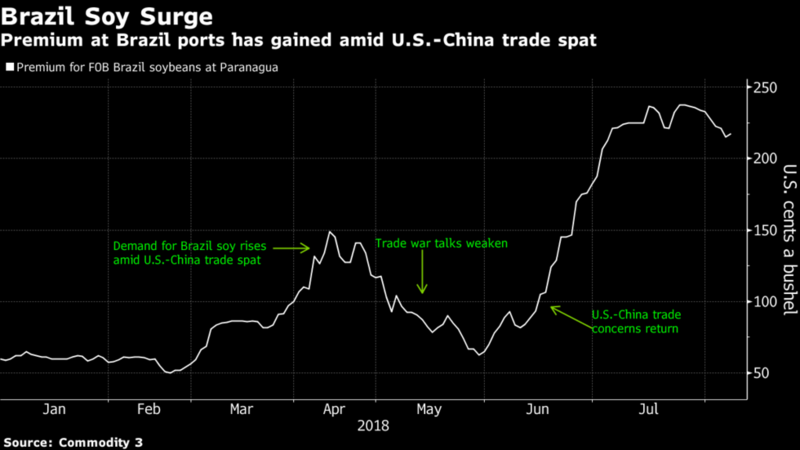 Meanwhile, Bloomberg writers Shruti Singh and Tatiana Freitas reported Tuesday that, “Brazil’s [soybean] supplies will start to tighten by October, after months of record shipments. That’s also just about the time that U.S. crop gathering is under full swing. 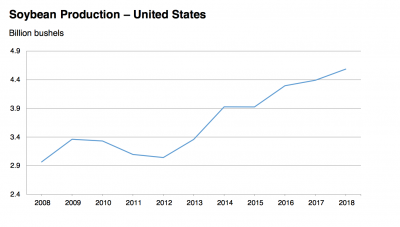 With no other growers really exporting enough to satisfy China’s demand, the nation will likely either buy from the U.S. or suffer through a shortage. “Despite Tariffs, U.S. Soy Is Still Headed to China. Here’s Why,” by Shruti Singh and Tatiana Freitas. Bloomberg News. (August 7, 2018). Also, Reuters News reported Friday that, “China’s imports of U.S. agricultural products will fall sharply once Beijing implements retaliatory trade measures and the country is able to cover its demand for cooking oil and animal feed, vice agriculture minister Han Jun said on Friday.